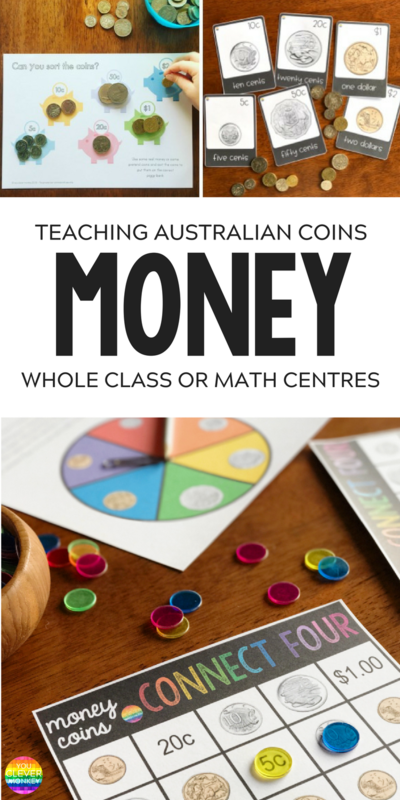 Classroom ideas, hands on play based activities and ready to print resources to make teaching Australian coins easy. I love teaching Australian money. 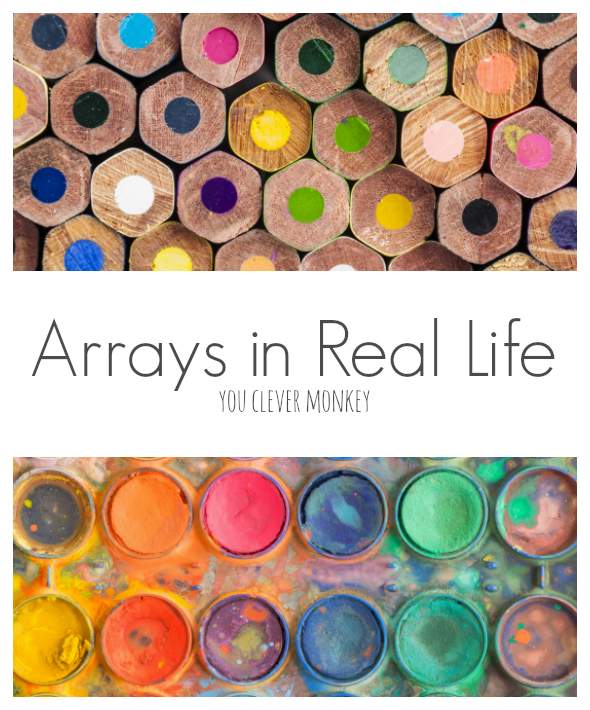 It would have to be one of my favourite parts of the Australian Curriculum for Maths. I do believe teaching young children about money and financial matters is an important lifelong skill. 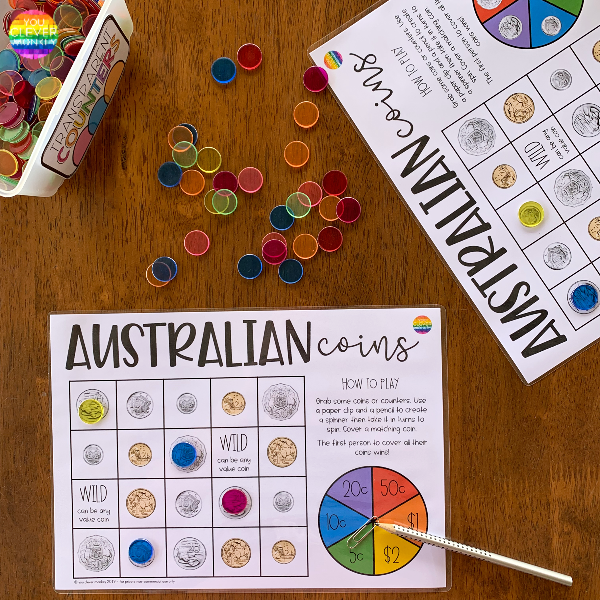 In their second year at school, Australian children begin to learn about Australian coins - how to recognise, describe and order the different coins according to their value. Research tells us that one of the most effective ways for students to grasp new concepts is through hands on learning activities. 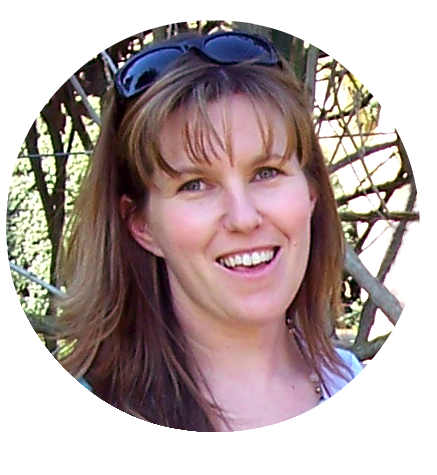 Allow opportunities for students to manipulate, sort, order and reason in various ways is the KEY to helping them understand these concepts. One of our favourite activities in class is to use our giant sized Australian coins. You can find them in our Australian Money Word Wall + Poster Pack. 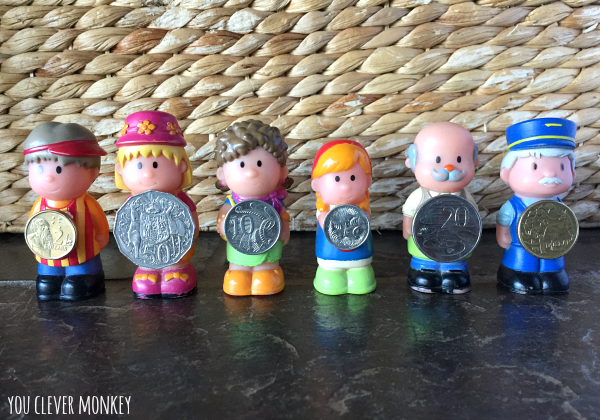 A simple warm up activity that gets everyone moving is to hold a GIANT coin of each value and stand up in front of class while the remaining students instruct their friends where to move to put the coins in the correct order. In the absence of sharing student's images, our favourite Happyland people are happy to stand in for us to demonstrate. 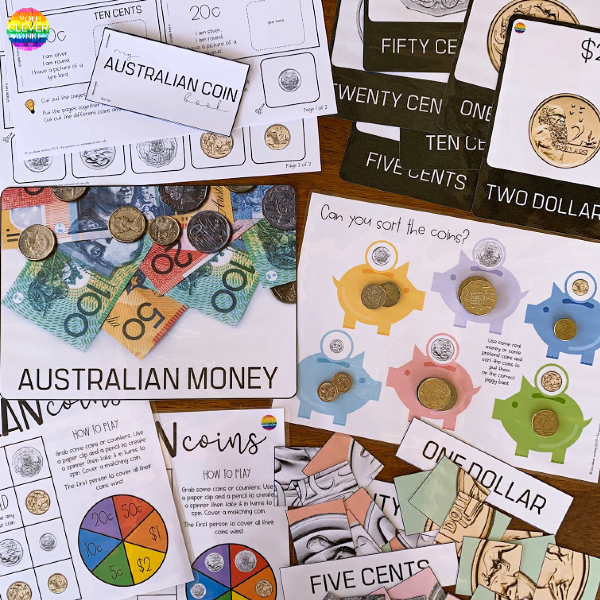 You can grab your copy of our giant Australian coins and word wall cards from here. To start with the goal is to place the coins in the correct order by value not by size or number. Once your students become more confident, you can still do this same quick sort and try to get the coins in the right spots with the fewest moves. 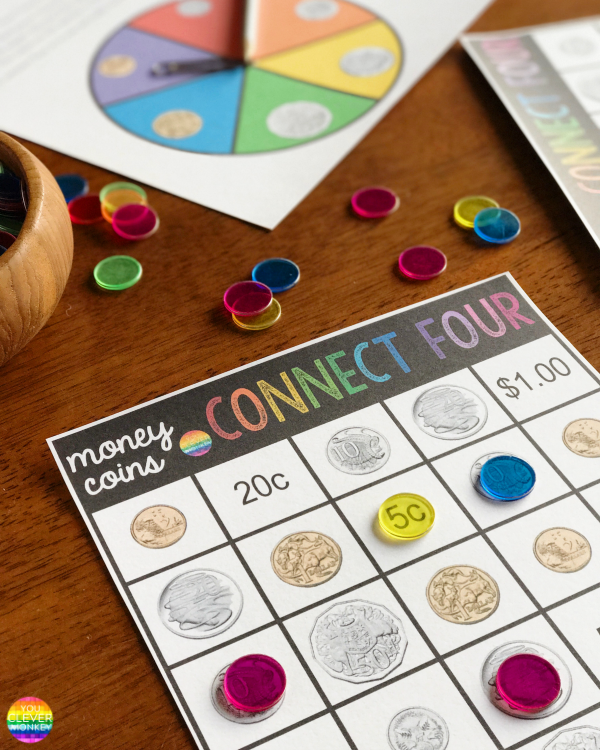 I also use a worksheet version of this activity as a pre-assessment to see what my students already know about the different coins and their values. 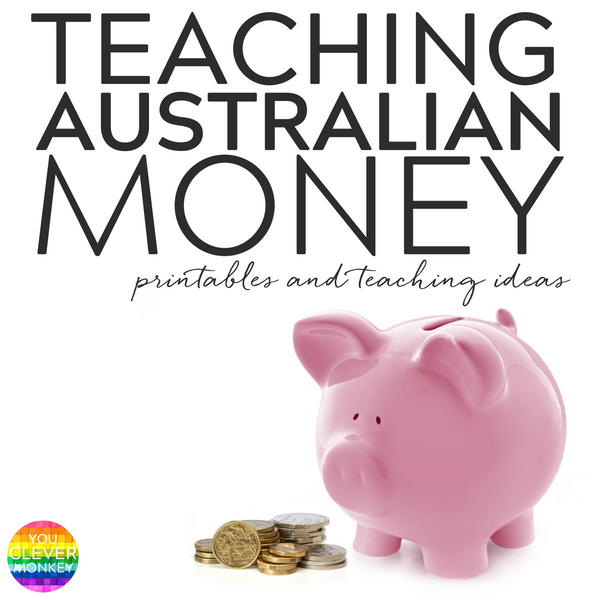 I've posted ideas for teaching Australian money before but have plenty of other teachers asking me to post some of the hands on resources I use in class to help my students learn how to identify, differentiate and order Australian coins by their value. These simple sorting mats have been a popular addition to our math centre activities. 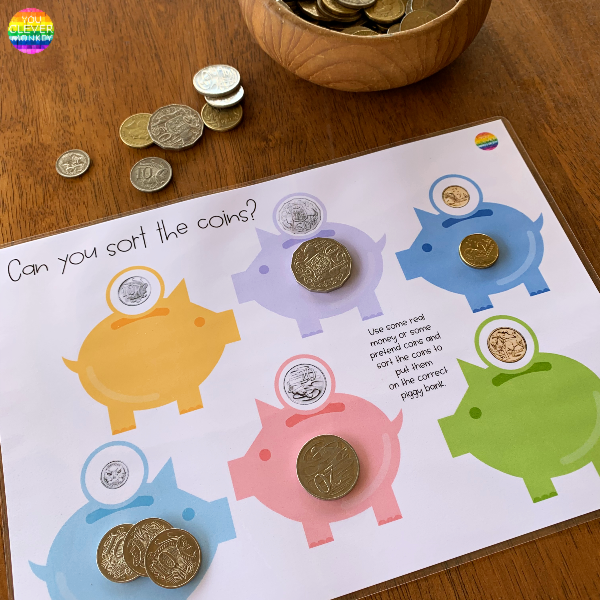 Children can sort all the Australian coins to their own piggy bank before counting them. I also create a sorting mat with blank amounts so I can place write different amounts in there for more capable children to match the correct value of coins to. Game play is always popular with this age group! 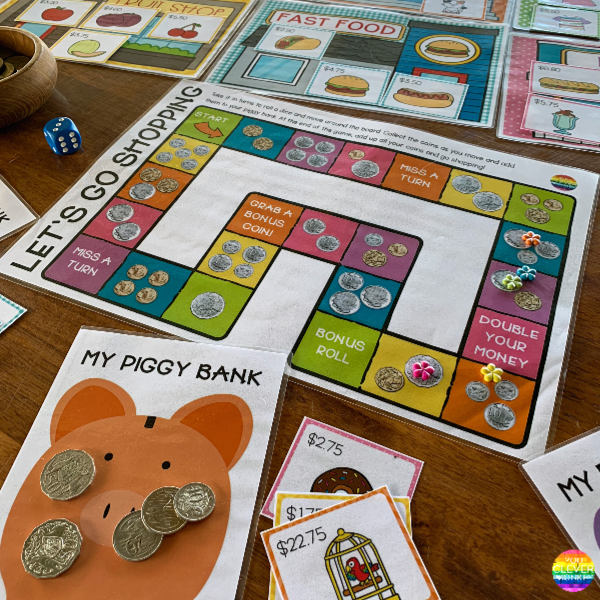 To help build my students coin recognition, I made lots of different games. My class love trying to beat each other with these simple Spin + Cover Mats. 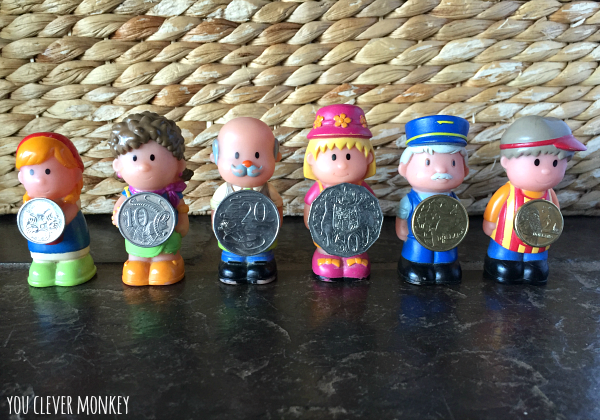 Simple to prep, it's perfect for building coin recognition skills in a fun format. Connect 4 is another classroom favourite so our Australian Coin Connect 4 Game is always a popular inclusion in our math centres. Using visuals in class is so important when introducing concepts like money. 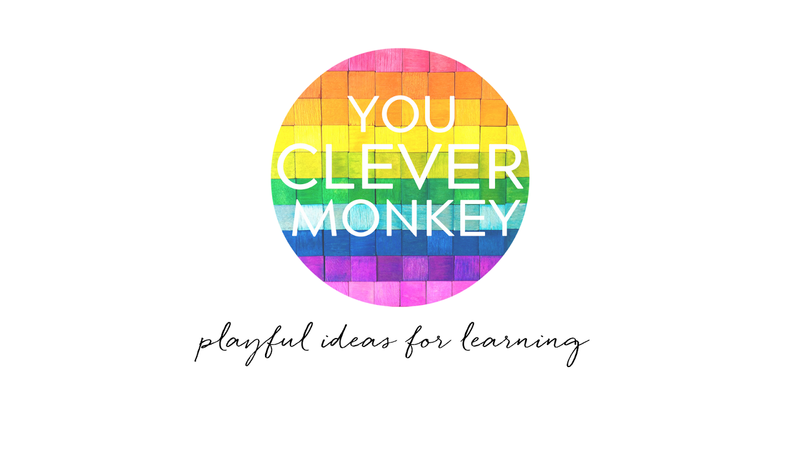 I display these simple posters and word wall cards once we've started our topic for children to refer to. I've also created some smaller posters of each coin too. I've printed out two sets of these four to a page as they make perfect playing cards for games of memory or print out more and play SNAP! 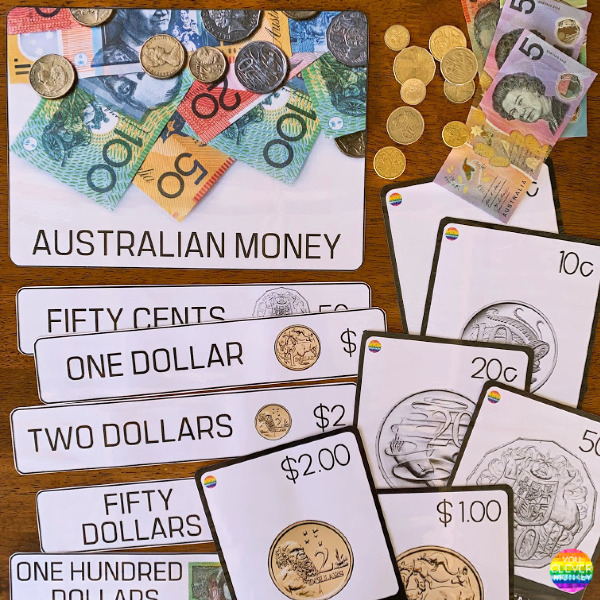 With a focus on Australian coins, I've also created a bundle of different money printables. 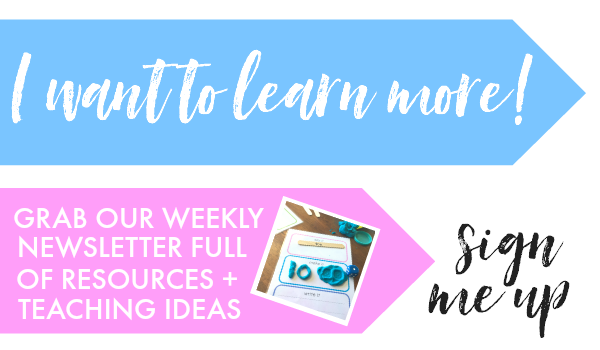 WANT MORE WAYS TO PRACTICE USING MONEY? TRY OUR SHOPPING GAME OUT! how to add up small collections of coins.